Mizoram is the North-Eastern state in India with Aizawl as its capital. The Mizoram state is blessed with a highest literacy rate. Education Directorate and council of ministers headed by the education minister administers the overall education system in Mizoram. Colleges in Mizoram provide Undergraduate, postgraduate and doctoral research programs. The courses offered by colleges in Mizoram in various fields are Botany, Forestry, Commerce, Physics, Economics, Education, Geology, Political Science, Zoology, Biotechnology, Management, Information Technology and others. Main aim of Colleges in Mizoram is to make the students well-versed in every aspect by providing advanced education and make provisions for research facilities. The well-known colleges in Mizoram which are affiliated to Mizoram University are Pachhunga University College, Aizawl College, Zirtiri Residential College, Govt Kolasib College, Govt Champhai College, Govt Saiha College, Govt Hrangbana College, Aizawl West College, T.Romana College and Aizawl Law College. Large Number of students also prefer colleges like North Eastern College in Khawdungsei, J.Buana College in Lunglei, Lawngtlai College, Hnahthial College, Saitual College, Zawlnuam College, Khawzawl College and Mamit College. College of Nursing Regional Paramedical & Nursing Institute is the famous professional college in the state. 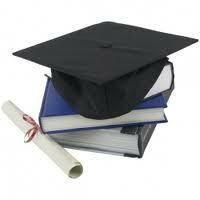 "Following is the list of colleges in Mizoram. All Colleges in Mizoram are divided into region wise. To view colleges in a particular region kindly select the region from the drop down list. The number of colleges in any particular region is mentioned in front of the link. If you come across any college in Mizoram which is not found from our list below, please do let us know by using add in list which is default in our website�.